The first recipe I ever posted for No Limit Cooking was my Weber Grill Salmon and Burger recipe. I’ve grown immensely as a home cook since the initial blog post and think that I’m much better today at taming and controlling the fire and managing the heat on the Weber grill. 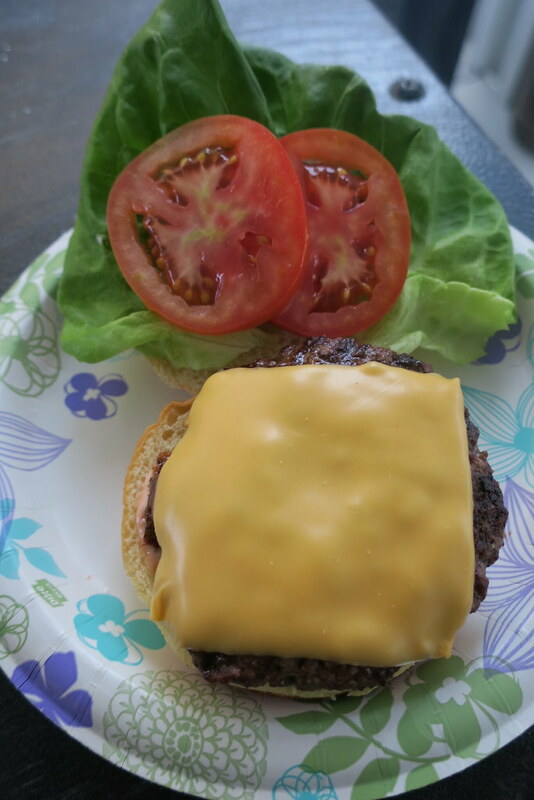 I started going through some of the older recipes on No Limit Cooking and have been updating a few things here and there, but for the Weber burger recipe, I wanted to dedicate a brand new post for a few techniques and tweaks I’ve picked up over the past few years to share with all of you. When I started grilling burgers at home, I always thought that more was better. I used to make 1/2 pound to 1 pound burgers for everyone and overloaded each burger with tons of toppings. Everyone in my family found themselves so stuffed and feeling gross after eating the juicy burgers…they always wished that the burgers were smaller. I experimented cooking burgers at different weights and finally found the perfect size for the family… 1/3 pound for adults and 1/4 pound for the kids. I weigh the ground chuck on a food scale to get the precise weight on each burger patty so all the burgers can be consistent. 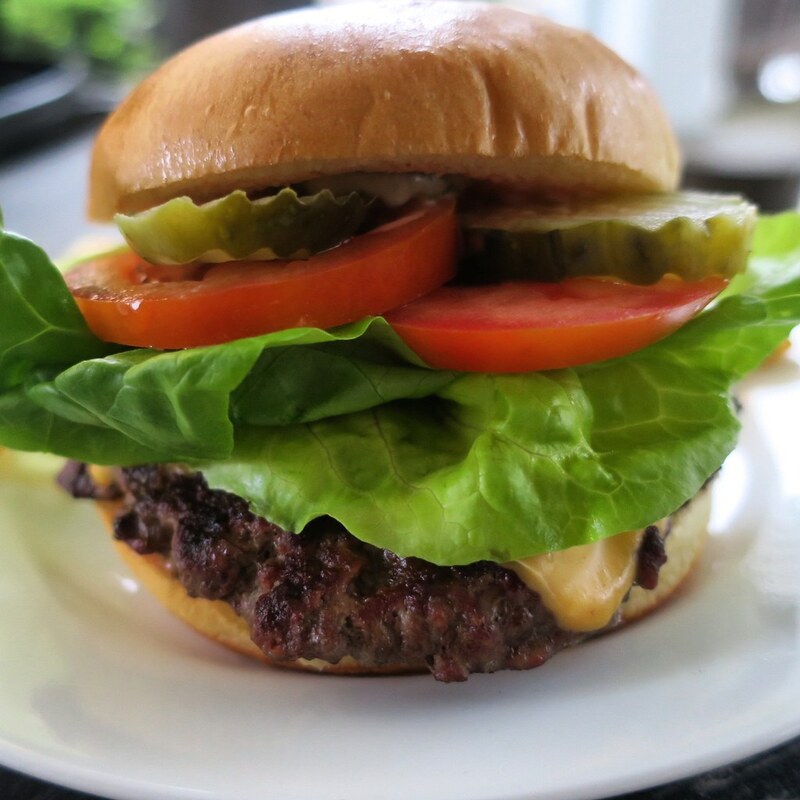 These days, less is more for the family and I am able to focus more on adding quality ingredients and delicious toppings to go with the burgers..like better quality ground chuck beef, fancy brioche buns, and fresh produce. This is my take on the classic cheeseburger. The flavors and toppings are similar and tasty like my favorite cheeseburger from In-n-Out Burgers, but slightly bigger. Make Grilled Onions – Heat a large skillet on medium low heat. Add vegetable oil and diced onions. 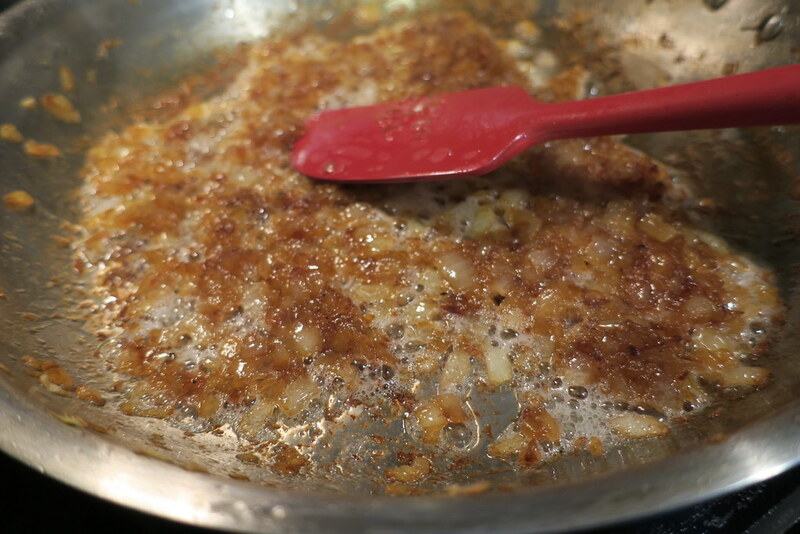 Stir occasionally for about 45 minutes or until onions are caramelized and golden brown. Make Burger Sauce – Combine all the burger sauce ingredients in a medium bowl and mix well. Refrigerate until ready to use. 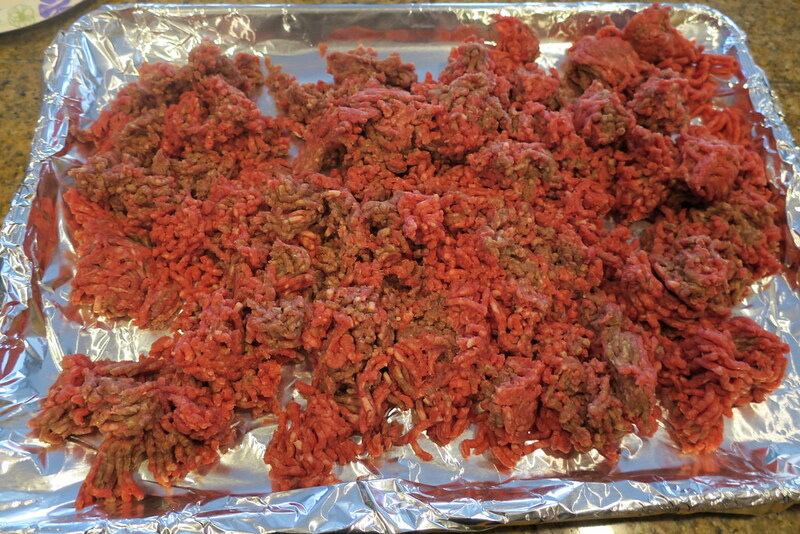 Form Burger Patties – Dump and loosen ground chuck onto a baking sheet. Weigh each patty to 5.3 ounces. Loosely form round burger patties without overworking the meat. Make an indentation in the center of each burger patty. Refrigerate burger patties for at least 30 minutes. Grill Burgers – Setup grill to medium high heat for direct cooking. 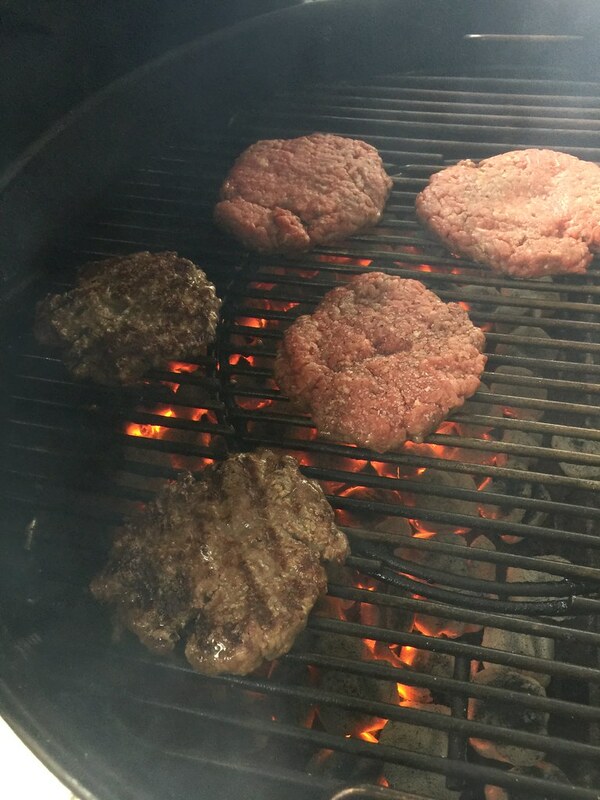 Season both sides of burger patties liberally with salt and pepper. Grill burger patties indentation side up for 4 minutes. Flip and cook the second side for an additional 3-4 minutes. Top burger patties with American cheese during the last two minutes of cooking. Cover grill lid to melt cheese. Assemble Burgers – Spread burger sauce and a layer of grilled onions on top of the bottom bun. Top bottom bun with cheeseburger patty, butter lettuce, 2 tomato slices, and 3 pickles. Spread burger sauce on the top bun and top off the assembled cheeseburger with the top bun. Feel free to substitute whatever bun or burger toppings you like. 80/20 means 80% lean and 20% fat. This is the best ratio for burgers.